The Microbial Verdict: You Live Until You Die, a solo exhibition by Zoë Hough, explores issues surrounding ageing in modern society and the desire for control over our bodies and our minds. Scientific and medical advances are prolonging the lifespan of the human body, but our brains are not keeping up the pace, with diseases like alzheimers becoming ever more widespread.The Microbial Verdict: You Live Until You Die presents a speculative scenario where synthetic biology allows all citizens to live until they die; that is, they live only for as long as they remain ‘themselves’. Under this UK-wide policy, citizens over the age of 65 ingest a synthetically engineered protein which has been programmed to track their brain activity and release a toxin to end their life if it detects that the citizen is no longer ‘themselves’. This speculative scenario is scientifically feasible, and based on research by Harvard scientists who discovered a protein which enables non-invasive tracking of neuronal activity. 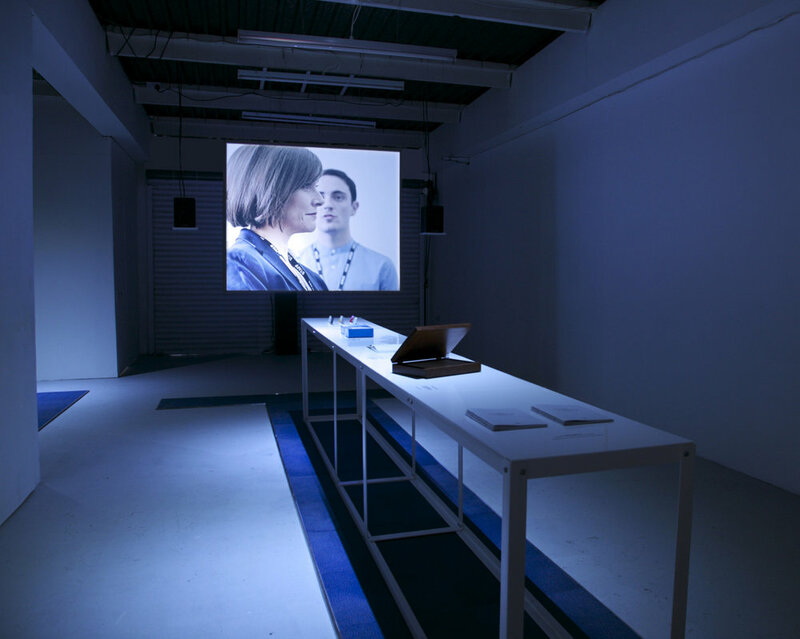 The scenario and its possible motivations and consequences are presented through film and objects, including footage of the ceremony where citizens ingest their engineered protein, the Microbial Verdict Handbook, a blister-packaged synthetically-engineered protein, and a Government document outlining the benefits to the economy of this new policy in terms of reduced pension, NHS and housing costs. Actors in the gallery invite the public to undergo a series of exercises and questions to ascertain the characteristics which make them ‘them’. In the speculative scenario it is these characteristics which the protein would then be programmed to track. Workshops for people over the age of 65 will be run in partnership with AgeUK East London, and will take place on a weekly basis during the exhibition. They will discuss issues raised by the exhibition as well as a wider conversation about speculative design. To attend a workshop please contact the gallery. The project is not intended as a vision of an ideal future, but it is intended as stimulus for debate around what possible, plausible or desirable futures might look like. The exhibition aims to engage the audience in critical and imaginative debate about how we, as individuals and as a society, are designing our futures and what the ethical and societal implications might be. Zoë Hough is a Speculative Designer and Artist. Her interests lie in the overlapping themes of human emotion, politics, science and society. 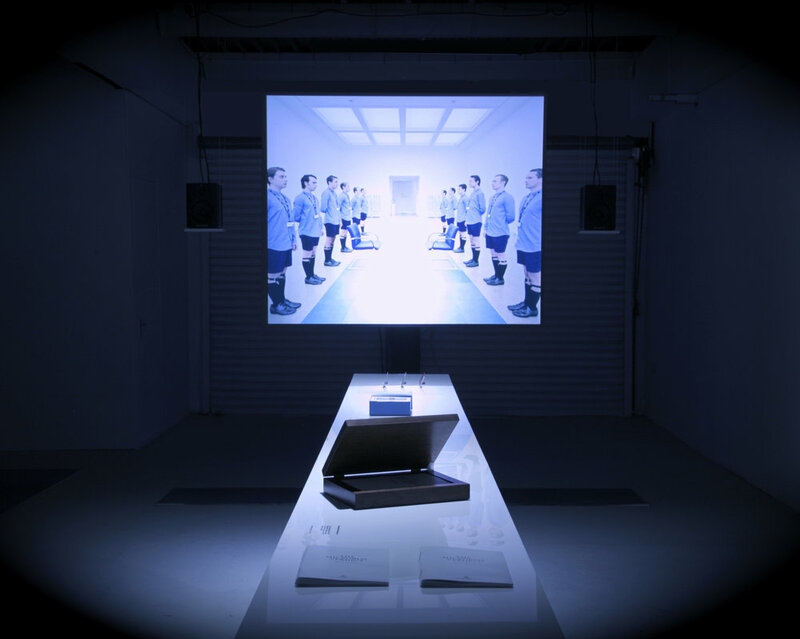 She uses film, text, objects and electronics to craft speculative narratives, which aim to stimulate debate and reflection about how things are, how things could be, and how we might want things to be. On 30 May arebyte gallery hosted a talk, The Microbial Verdict : You Live Until You Die, by Zoë Hough. As part of The Microbial Verdict every Saturday arebyte held drop in sessions with a consultant from the Department for Self & Sanity.